Itanagar: Most of the hospitals and nursing homes in Arunachal Pradesh don’t have facilities for disposal of bio-medical wastes, according to a recent report by the Comptroller and Auditor General of India. The CAG report which was tabled in the state assembly this month highlighted that in 10 government hospitals treatment plants were installed. But they remained non-functional due to lack of trained manpower, technical defects, lack of fund for maintenance besides shortage of power. The Centre had framed the Bio-Medical Waste (Management and Handling) Rules 1998 under the provision of Environment (Protection) Act, 1986 which prescribed the procedures for treatment and disposal of bio-medical waste generated by hospitals, nursing homes, dispensaries and clinics. The report highlighted various drawbacks with the Arunachal Pradesh State Pollution Control Board (APSPCB) as the board did not have the state level data on health care establishments which is required for compliance of rules and regulations of the Bio-Medical Waste. The report pointed out that out of only 12 out of 437 healthcare establishments are functioning with an authorization issued by the APSPCB. The report further stated that 12 hospitals inspected did not observe the standards prescribed in the rules for disposal of bio-medical waste. The CAG findings revealed that in the state hospital at Naharlagun, near here, bio-medical waste treatment plant was installed in June 2004 at a cost of Rs 70.88 lakh under central assistance was subsequently dismantled in June 2012 to accommodate construction of 300 bedded hospital at the site and no replacement had been provided since then. In general hospital Pasighat, where the plant was installed on June 2004 at a cost of Rs 70.88 lakh, was lying idle since September 2009 due to technical defects, it said. Subsequently, another plant at a cost of Rs 68.50 lakh funded under National Rural Health Mission was approved in December 2013 but remained incomplete even after two years of its sanction, the report said. Another treatment plant installed at General Hospital Aalo at a cost of Rs 22.89 lakh in 2009 under NRHM, was not functional since its installation due to unsatisfactory installation and lack of trained operator. The plant was dismantled and a new plant at a cost of Rs 50 lakh taken under NRHM during 2015-16 remained incomplete. Similar was the fate of the plants installed in General Hospitals at Ziro, Bomdila, Tezu and Khonsa, the report added. The report further stated that a joint inspection of 12 test checked hospitals was conducted with representatives of APSPCB and the hospital authorities where it was revealed the number of deviations from the prescribed procedure for disposal of bio-medical waste. In some hospitals, bio-medical waste was disposed of with solid waste and in some government hospitals, the waste was disposed of by burning in open space in hospital premises or disposed of by burning in local made chullah in hospital premises. 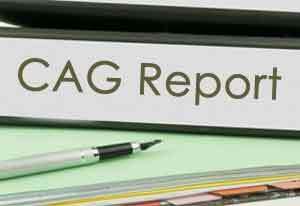 The CAG report has recommended the state government to adopt a mechanism for enlisting all the healthcare establishments functioning in the state for an issue of authorization and effective monitoring of their functioning. It also suggested for preparing a detail plan for the establishment of bio-medical waste treatment plants in government hospitals and also takes necessary steps to operationalize the existing idle plants through budgetary provisions. The report further suggested the government for ensuring that all the healthcare establishments dispose of bio-medical waste in compliance with the prescribed standards to prevent adverse effect on human health and environment.